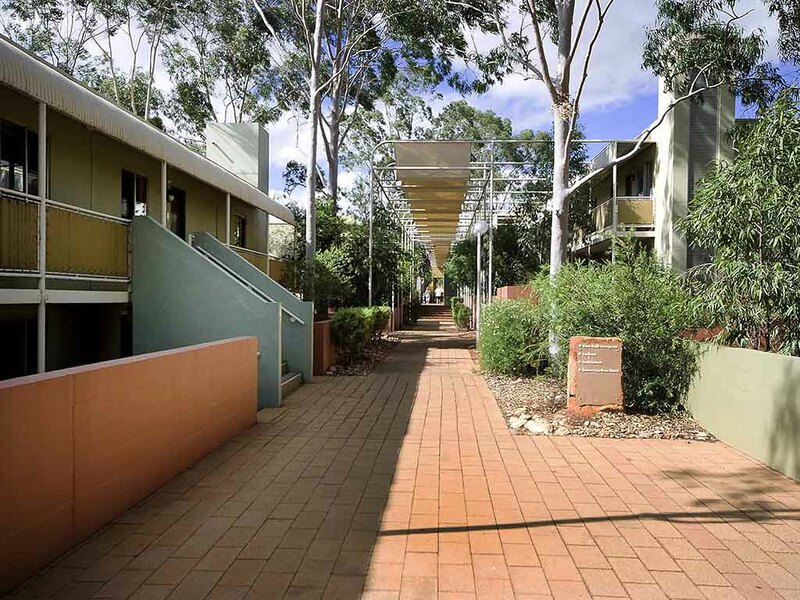 Sheltered behind gardens of native trees and forming a walkway through the heart of the Resort is an avenue of terraced apartments. Spacious and well equipped, they can cater for up to six people, ideal if you are holidaying with family or friends. All apartments are self-contained, with separate kitchen, living and bedroom areas. Located just minutes from the hub of the Resort, the Town Square, including mini supermarket and shops, these apartments provide everything you need to cook up a storm. One Bedroom Apartments can accommodate up to four people. Each apartment features a separate sleeping area with a queen sized bed and separate dining and living area with a sofa bed. Apartments feature a separate fully equipped kitchen. Two Bedroom Apartments accommodate up to 6 people. Each apartment features two bedrooms and separate dining and living areas. Either 2 queen beds and double sofa, or king bed with 2 single beds and double sofa. Feature separate fully equipped kitchen. Desert Gardens hotel is home to the popular White Gums Restaurant which offers a hot and cold buffet breakfast in an open and relaxed setting. Children's menu also available. Arnguli Grill features a table d'hote menu of two and three set menu options, in relaxed surrounds. Children's menu is also available. Bunya Bar offers an indoor alfresco café experience and a wide range of light meals. The bar is also great for an afternoon tea or early evening cocktail. Children's menu also available.